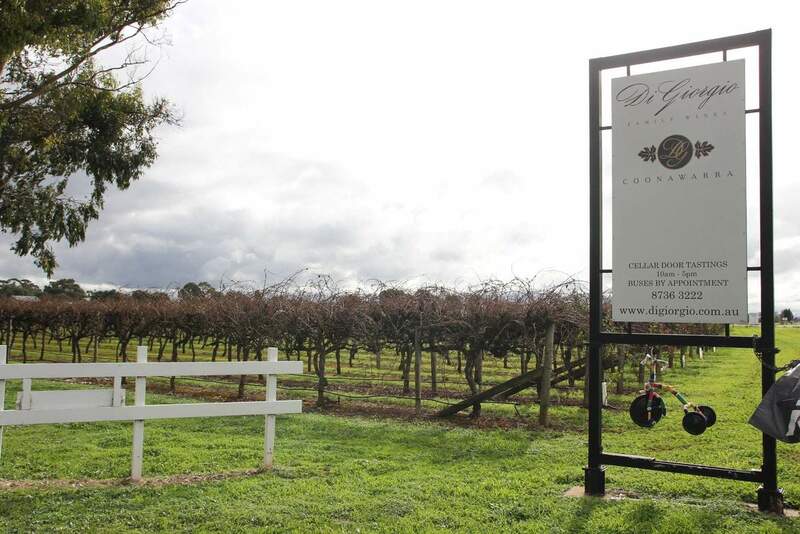 DiGiorgio Family Wines is a popular family-owned winery in Coonawarra. With an aim to produce excellent quality wines, the DiGiorgio family started this business many years ago. This Italian family moved to Australia in 1952 and the founder, Stefano, started this winery with an ambition to create excellent hand-crafted wines. 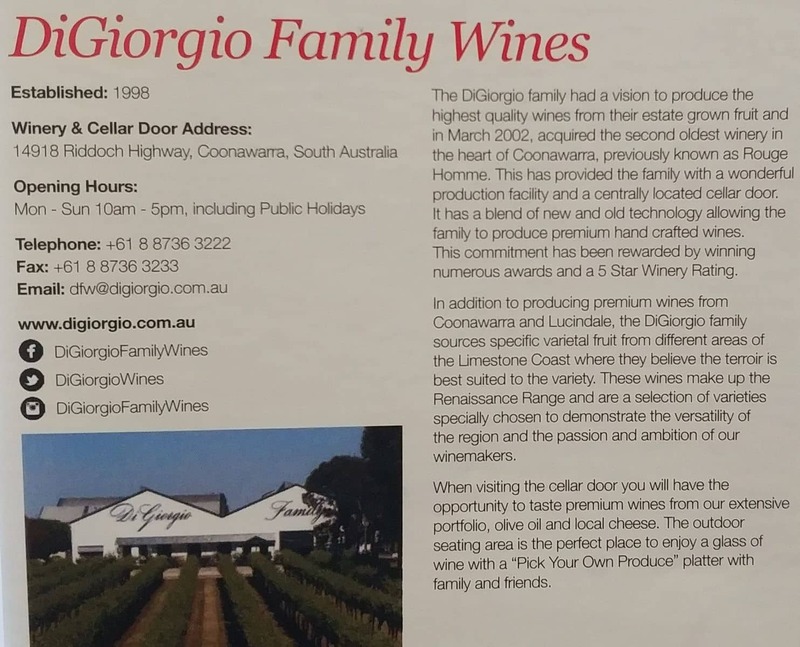 Even today, the DiGiorgio family is committed to maintaining the quality of their wines. As a premier wine producer, DiGiorgio Family Wines offers unique hand-crafted wines for you to taste. This winery also offers winemaking services for small and large businesses. Whether it is for individuals or for other vineyard owners, DiGiorgio Family Wines offers a range of winemaking services for their valued clients. These services include crushing, winemaking, fermentation and wine ageing. Clients can also choose whether they want to use stainless steel or oak barrels for wine maturation. All in all, the DiGiorgio family offers a complete winemaking package. When you visit the winery, you will come across some of the best and latest winemaking equipment. Recently, DiGiorgio installed a range of the newest micro-vinification tanks, with some of the latest models of small storage vessels. In addition, the winery also has some traditional fermenters and air-bag presses at their cellar door. Recently the winery has also included a new barrel house at their facility.